Parenthood looks good on this celebrity couple! What are some ways to stay connected as a couple after having a baby? 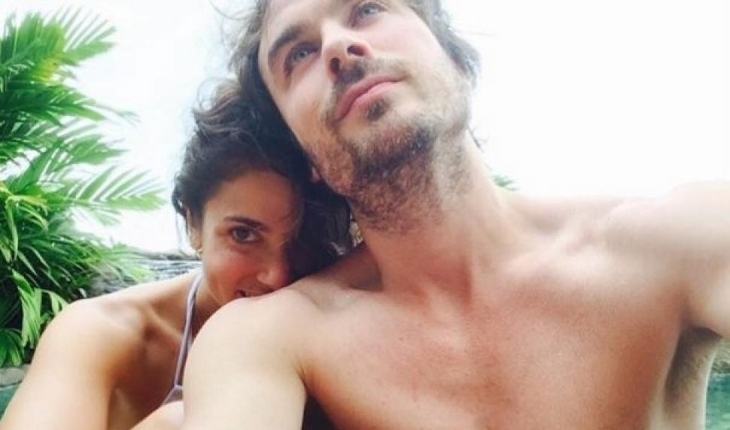 Nikki Reed and Ian Somerhalder enjoy their celebrity honeymoon. Photo courtesy of Instagram. There’s soon to be another celebrity baby to join the ranks! What are some cute ways to announce your pregnancy? …Looking for ways to announce to the world a stork is on its way to you and your honey? Click here for more! Once you get past the daunting task of packing and getting through airport security, traveling can be a great way to bond with your partner. Whether you decide to take a road trip through the 50 states or hop on a plane headed around the world, visiting a new place and learning a new culture can bring the two of you closer. Celebrity couples are always seen traveling together, and just like them, you could have you’re very own romantic getaway. …want to see more? Click here! This celebrity news has us hoping the couple starts a family soon! What are some ways to discuss having a family with your partner? Weekend Date Idea: Kinkajous, Horses, and Clown Fish — Oh My! According to HelpGuide.org, spending time with a furry friend can provide both mental and physical health benefits. So take a step away from your normal date night activities and invite a furry friend along next time! Our dating advice below could help you relieve some stress and take your relationship to a new level. …For more details about this weekend date idea, click here! This celebrity wife seems to have it all! What are some ways to make your new spouse feel special? A vampire’s love is forever! 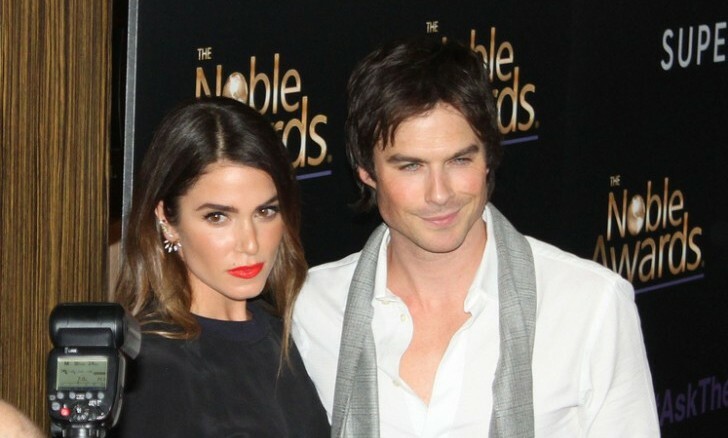 According to UsMagazine.com, Twilight star Nikki Reed and Vampire Diaries stud Ian Somerhalder had a sunset celebrity wedding on April 26th in Topanga, California. Reed wore a couture Claire Pettibone gown, and their guests enjoyed pretty white flowers and a live band. An insider said, “Nikki originally wanted a small wedding. But Ian envisioned a big wedding, she was happy to let him call the shots.” Instead of gifts at this celebrity wedding, the cute Hollywood couple asked for donations to the Ian Somerhalder Foundation for rescued animals. This celebrity wedding went down with the sun! What are some advantages of tying the knot outside? 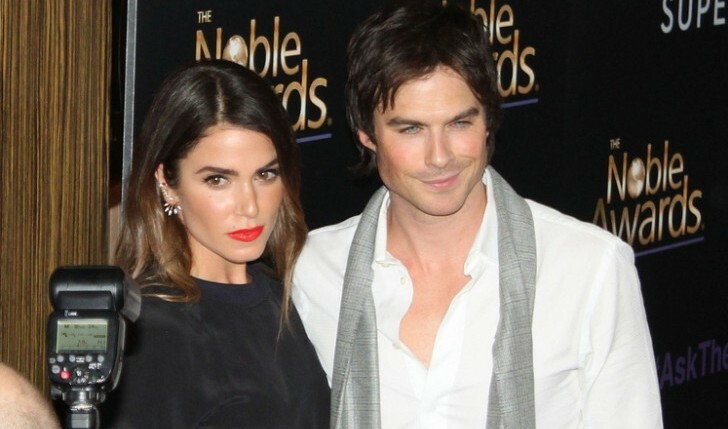 It looks like Ian Somerhalder had a good date and day on Tuesday afternoon. 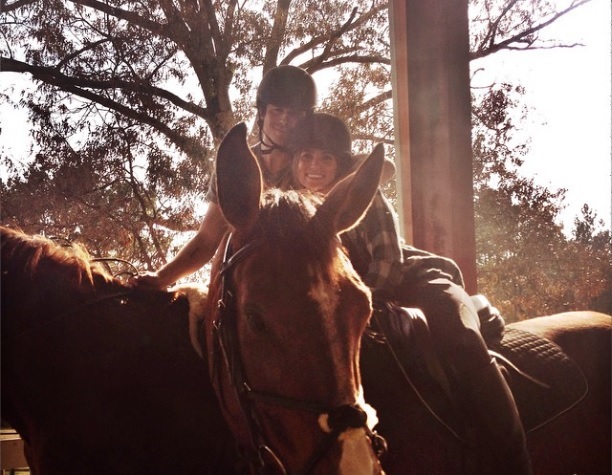 He took his new girlfriend, Nikki Reed, horseback riding and uploaded a picture to his Instagram. The picture shows the couple on their horses together and smiling. According to UsMagazine.com, the new couple was in Georgia enjoying some down time. What are some things to consider before dating a friend’s ex? …Ready to read on? Click here! How do you know when it’s time to move on from a past relationship? …It gets better! Click here for more. It’s official. 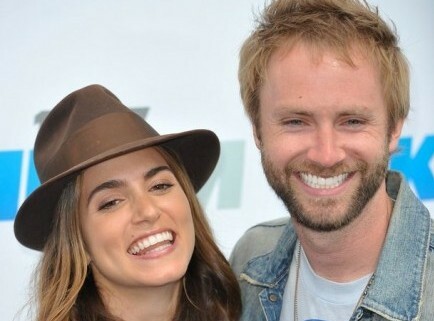 Nikki Reed and Paul McDonald have decided to call it quits. According to UsMagazine.com a rep confirmed the ex-couple are over, but even though they have decided to go their separate ways, their marriage is ending on good terms. Reed,25. And McDonald, 29 will continue to share a love of music and their collaborative début album, “I’m Not Falling” releasing in 2014, is still in the works. The duo first met in March 2011 at the premiere of Little Red Riding Hood in L.A., while McDonald was garnering attention as a contestant on Season 10 of American Idol and after seven months of dating they walked down the aisle in a private ceremony in Malibu, California back in October 2011. How do you know when to call it quits on your marriage? …Itching for more? Click here. How do you know when it’s time to have kids? The long awaited conclusion to the Twilight saga has finally arrived with the final installment of Breaking Dawn Part 2. Who else is not jumping in their seat from sheer anticipation? Real life couple Kristen Stewart and Rob Pattinson reunite on the big screen as Bella Swan and Edward Cullen. In the first part of the last installment, our favorite vampire and human couple tied the knot. Low and behold somehow Bella became pregnant and in order to save both her life and their baby’s life, Edward turned her into a vampire. Now, officially a Cullen and a vampire, Bella will stand by Edward through thick and thin to protect her new family and new husband. The Volturi, the official authority of vampires, has learned of the birth of a half human half-vampire child and fears for the safety of vampires as a whole. 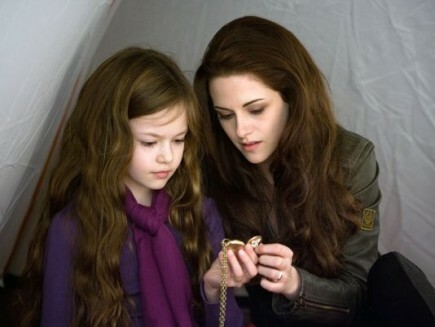 They seek out to destroy the child, but the Cullens stand together and will fight before they let that happen. In the epic conclusion of the Twilight series, the Cullens will rally troops to go head to head against the Volturi to protect all that they love. Ashley Greene, Nikki Reed, Jackson Rathbone and Kellan Lutz return as the Cullens. You won’t want to miss thisas, it already hit theaters November 16th. …Click here for more for the Twilight finale! 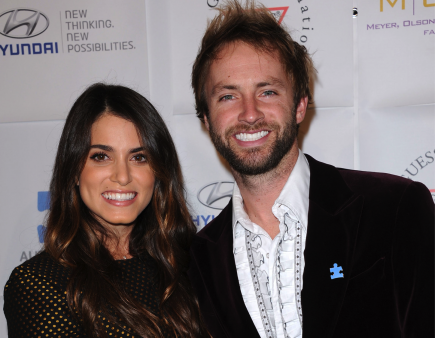 Nikki Reed is sure that she and her husband, American Idol finalist Paul McDonald, want kids, just not any time soon. The 24-year old Twilight star told People that she thinks “it’s a mistake for people to get married and then just [have kids right away]. I feel like it is the pressure of the family making them do it. We want to travel and be able to fly on an airplane without a baby and just have freedom.” Of course, the couple’s busy schedules are also major obstacles keeping them from having kids right now. How do you know how long to wait to have kids after marriage? …There’s still more! Click here! In light of the recent influx of celebrity divorces, it’s great to come across a happy and healthy Hollywood marriage. 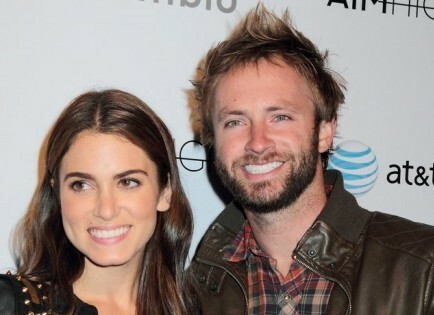 Nikki Reed, who tied the knot with American Idol’s Paul McDonald, told People, “The first year [of marriage] is not the hardest. Gosh, if this is the hardest, then it’s gonna be easy breezy.” She added that even under the most stressful situations, she and her new husband still make a great team. As a newlywed, how do you set a good precedent for your marriage? What are the advantages of a short engagement? What are some things to be careful of in a whirlwind romance? …do you feel your heart beating fast? Click here to read more. It’s official! According to OMG! 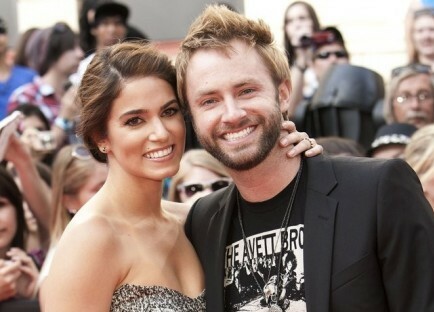 from Yahoo, American Idol’s Paul McDonald and Twilight star Nikki Reed are a couple. The two met at a premiere and have been dating ever since. Although they have hectic schedules, McDonald states that Nikki has been “super supportive” throughout his time on American Idol, which unfortunately ended Thursday night when he was eliminated from the show. The biggest issue their relationship faces is making time to be with each other. “We haven’t actually done much of that,” says McDonald. “She’s been busy working. I’ve been busy working.” McDonald is now busy preparing for the American Idol tour, while Reed has been filming the final installment of Twilight Saga: Breaking Dawn Part II. How does a relationship survive when you’re both workaholics?